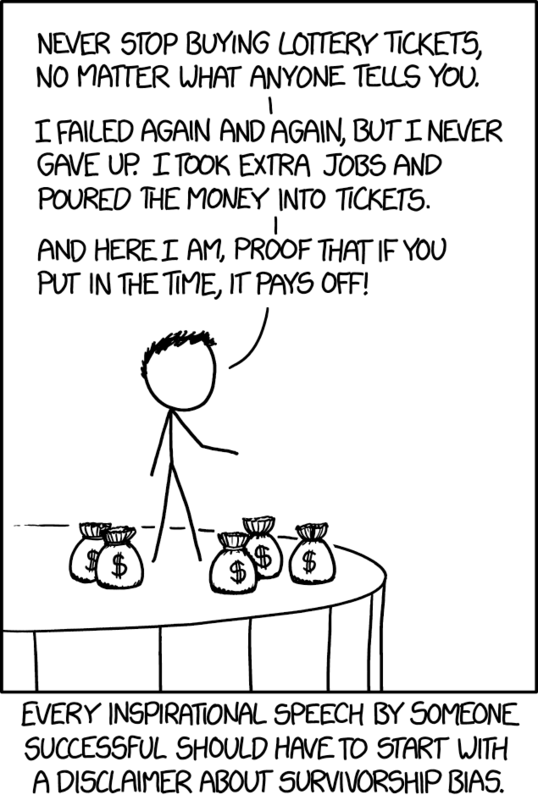 I want you to think about this cartoon every time you hear a prosperity gospel preacher tell his audience that they, too, can be successful if they just do what he says. Ditto with any Christian who says God was “looking out” for her because she survived a disaster or accident that killed several other people. Just because someone is successful doesn’t mean everyone else will be. Even if they follow the same steps. There are too many factors you can’t control for — including dumb luck.